I’m Lisa Ventura, AKA “Cyber Geek Girl”, and I’ve been writing ever since I was old enough to pick up a pen and put it to paper. These days I still write, but I put my fingers to the keyboard and type away furiously! In addition to the UK Cyber Security Association I am also the CEO and Founder of Venture Content Marketing, PR & Digital and Venture CxO Insights, a leading publishing platform for the emerging C-suite roles that are focused on cyber security, data, analytics, digital transformation, artificial intelligence, technology and machine learning. My claim to fame is that I spent seven years working with Chris Tarrant, the presenter of “Who Wants To Be A Millionaire” at his management company (that’s a novel in itself) and I got to see “Millionaire” go from a format on paper called “Cash Mountain” to the world’s most successful game show format. It was a very exiting time! I have also met Patrick Duffy AKA “The Man From Atlantis” and who played Bobby Ewing in “Dallas”, the actor Brian Blessed and the actor Charlton Heston, among many other famous people. I love writing poetry and short stories in my spare time and I have read my work at numerous spoken word events in Worcestershire, Gloucestershire and London over the years. I love dogs and I am the proud owner of a gorgeous German Shepherd/husky cross dog called Poppy. She is my world, my main reason for living and she is also the best therapist that I could ever wish for! My family is also my world and my parents mean everything to me – I am very family orientated. I also have some rather eclectic and strange interests. I have an almost encyclopaedic knowledge of heavy metal music and I love nothing more than listening to the likes of Status Quo, Black Sabbath, Led Zeppelin, Judas Priest, Def Leppard, Metallica, Megadeth, Slayer, Guns n Roses….I could go on but I think you all get the idea! I am also fascinated by all things to do with nuclear war. I am addicted to anything with salted caramel in it. I love nothing more than writing – whether it be for my work or for pleasure. much loved and much wanted son, grief at losing my father in law in horrific circumstances when his doctors missed the fact he was riddled with cancer, grief at losing my precious German Shepherd Curley at the age of 12 who was like family to me, grief at losing two close cousins – one to a heart attack at a relatively young age out of the blue – and grief at losing my beloved Aunty before she had even passed away from dementia. All this has given me first-hand experience of all kinds of trauma, grief and loss, but I survived it all (note I am a survivor, not a victim), and I am moving forward with my shoulders back and my head held high, and I’m still here to tell the tale. Despite the fact that I am an empty armed mother, that is, a woman who has given birth but who does not have any living children, I try to make the best of life. 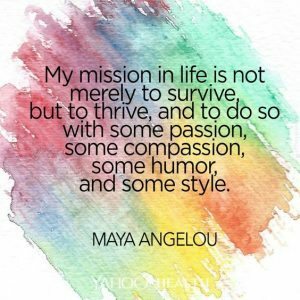 As the late great poet Maya Angelou famously said, “My mission in life is not merely to survive, but to thrive; and to do so with some passion, some compassion, some humour and some style.” I plan to try and live the rest of my life, whether long or short, by that statement. In 2018 I was diagnosed as #ActuallyAutistic, and from that moment so much made sense to me, especially why I am the way I am. I learnt to cover up the way I really was and put masks and sticking plasters over my behaviour to try and fit in and be “normal”, but I now accept that my brain is wired in a different way and rather than work against that, I am learning to embrace it and all it gives me. It is what makes me….me. So what is “Cyber Geek Girl”? “Cyber Geek Girl” is a collection of articles, posts, reviews, interviews and more that give my readers a window to my life. I have included topics that I have strong experience in and it also has some “fun” elements to it. I aim to pass on interesting information, reviews, hints and tips that I have learned over the years to anyone who finds this blog. It covers many aspects and topics that I am passionate about, and I hope it will grow and develop into a strong and informative resource going forward, especially in business, entrepreneurship, cyber security and technology. You can find out more about me on my main website www.lisaventura.com, and my business website www.ventureprmarketing.com. 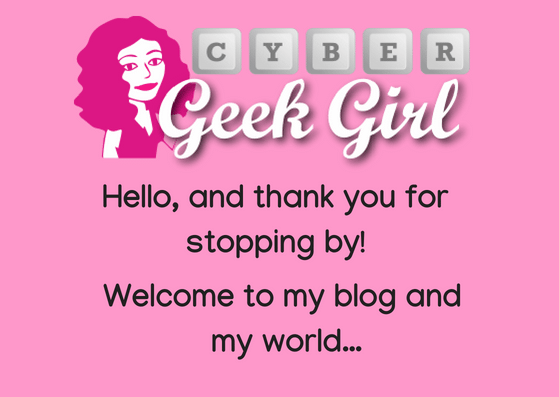 I hope you all enjoy “Cyber Geek Girl”, please feel free to leave comments or feedback on my posts, I would love to hear from you.